MILWAUKEE TOOL’s dust collection solutions—like this new DUST TRAP Drilling Shroud—made it easy for McGilvray Mechanical to transition seamlessly to compliance with the new OSHA standards protecting workers from respirable silica. McGilvray Mechanical, based in Pompano Beach, FL, has been a leading provider of commercial mechanical HVAC services in southern Florida for more than 60 years. McGilvray—along with 676,000 other employers nationwide—faced stricter standards for dust management beginning September 23, 2017. OSHA sought to bring worker protections to the forefront with its construction standard on respirable crystalline silica, 29 CFR § 1926.1153. Silica is found in materials like concrete, tile, rock, stone, and brick. Exposure to silica dust can be a major cause of lung cancer, silicosis, chronic obstructive pulmonary disease, and kidney disease. While the cost associated with arming workers with the tools they need to be compliant has often been steep, companies like McGilvray understand that the long-term protection is priceless. As soon as OSHA announced the standard in 2016, McGilvray began making sure they met the best interests of their workers. “Because we have a workforce of more than 65 doing a wide range of commercial mechanical work, along with the implementation our new retrofit service division, we knew the recently implemented standard would impact our workforce in their daily activities, so we spent a significant amount of time making sure we did it right,” said Lewis. The company performed numerous trainings and assessments to ensure employees were informed of the hazards associated with respirable silica, and leadership educated themselves on the specific tasks in the workplace that could result in exposure and how to implement compliance methods that protect employees. “It was a comprehensive undertaking which did not take away from the most important goal of keeping our greatest resource—our employees—safe,” said Lewis. 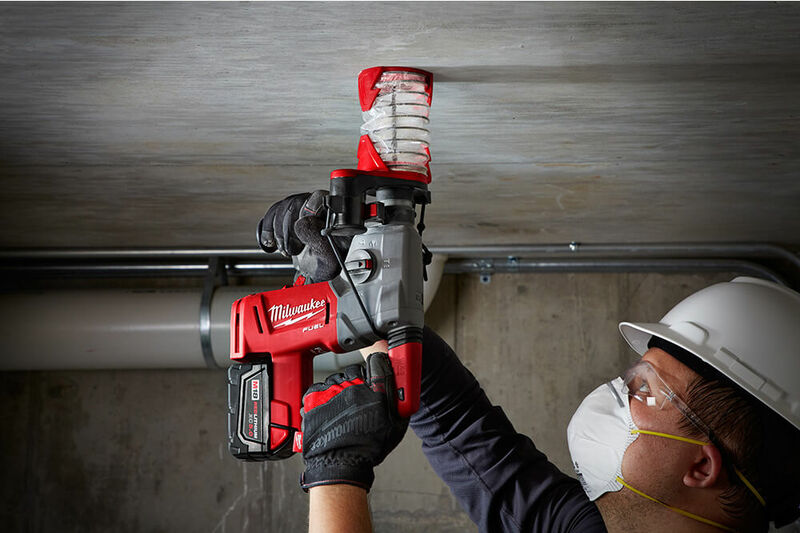 Key to all of this was making compliance as simple as possible by partnering with MILWAUKEE TOOL, the global leader in heavy-duty jobsite solutions for the construction trades. Its productivity-focused dust collection solutions help make compliance simple for companies and their workers, so they can stay focused on their work. McGilvray Mechanical made a seamless transition to compliance with new OSHA standards protecting workers from respirable silica by using MILWAUKEE’s HAMMERVAC™ Dedicated Dust Extractors in conjunction with their current M18 FUEL™ 1-1/8″ SDS Plus Rotary Hammers. McGilvray made their compliance seamless by using MILWAUKEE’s HAMMERVAC™ Dedicated Dust Extractors in conjunction with their current M18 FUEL™ 1-1/8″ SDS Plus Rotary Hammers. These extractors are compliant with OSHA Table 1 and use the same replaceable certified HEPA filter as other HAMMERVACS, which filter 99.97 percent of all particles greater than 0.3 micrometers. Making the transition even easier, these tools feature an inline, dedicated design engineered to directly connect to and be powered by the tool, and they are fully compatible with the wide range of M18™ tools the McGilvray team already uses in their work. McGilvray was also introduced to MILWAUKEE’s new DUST TRAP™ Drilling Shroud—the first OSHA compliance solution that meets objective data requirements without the use of a vacuum. This universal accessory gave the McGilvray team the flexibility to remain compliant even when not using the HAMMERVACS. “With the availability of these tools, which eased our implementation transition, we gained peace of mind that our employees weren’t being exposed to dust during our critical drilling applications, while allowing us to provide a safer work environment and leading compliance in south Florida,” stated Lewis. 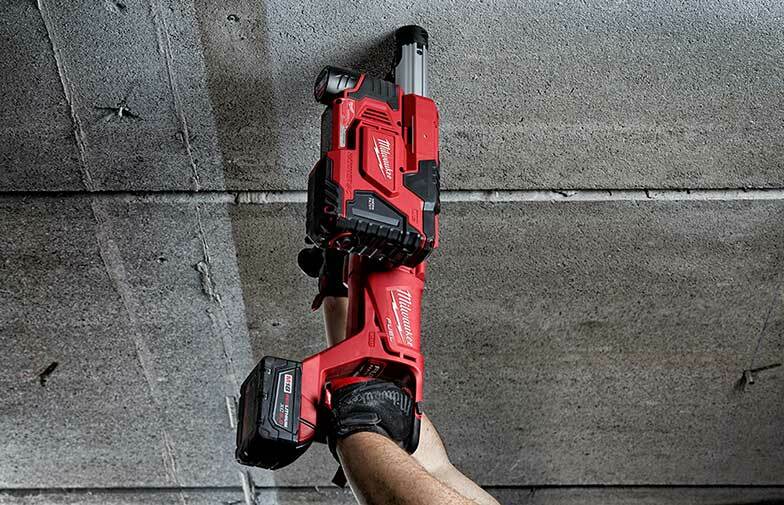 For more information, visit www.milwaukeetool.com. 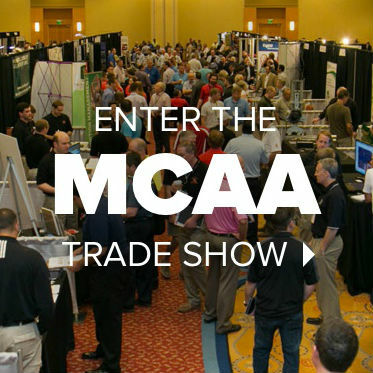 MCAA thanks MILWAUKEE TOOL for being a benefactor of MCAA19, sponsoring the Tuesday night reception, and co-sponsoring the dessert party.